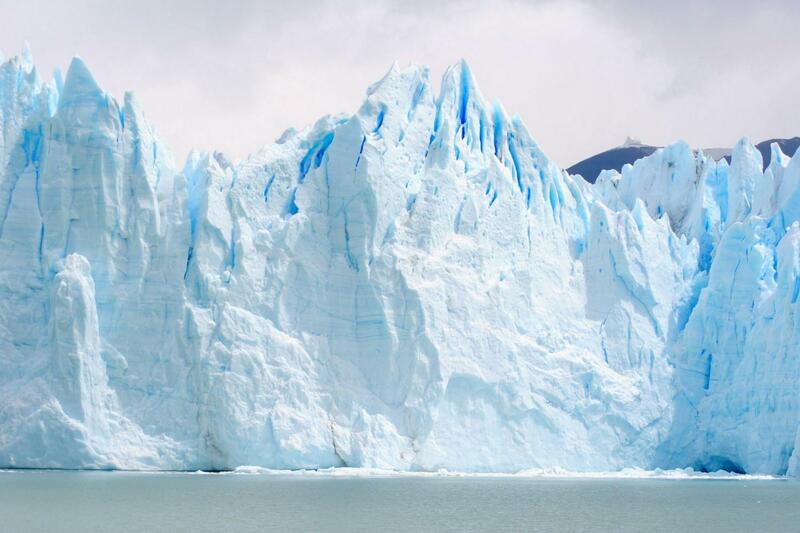 Explore the Core of the Perito Moreno Glacier. Ice trek across one of the most expansive glaciers in the world. UNESCO JEWELS: Parque Nacional Los Glaciares. Guided hike on Perito Moreno Glacier. Hotel pick-up/drop-off from hotels in El Calafate. An English/Spanish speaking expert Guide. Food and beverages (passengers must bring their lunch boxes). The departure time from your hotel will be confirmed on the previous day of the tour. This tour does not operate April 01st - August 09th. This tour is subject to weather conditions. In the unlikely event of a cancellation due to weather, an alternative will be offered or a refund will be provided. Footwear: Sport shoes or trekking boots with warm wool or cotton socks are highly recommended. Rubber and apres ski boots, as well as high heel shoes, are not advisable. This excursion, due to the degree of effort and difficulty that presents, is not advisable for pregnant women, those who are not in good physical condition or have a disability that would limit their movement. Explore the ins and outs of the Perito Moreno Glacier, an adventurers dream! The excursion begins in the embarking pier located in “Bajo de las Sombras” port, about 6 km before the glacier Balconies, where you embark for a 10 minutes navigation across the Rico Arm, enjoying breathtaking views of the Perito Moreno glacier’s front walls. After checking the gear, we get ready, pick up the crampons and walk following the lateral moraine, for an hour and a half, until we reach the access to the glacier. After fitting harnesses and crampons on our footwear we start the ice trekking. During the walk you will be introduced to a number of features within the ice, huge moulins, crevasses, caves, and above all the special feeling of exploring the middle of the ice. Expert bilingual mountain guides will always lead you, looking after your safety and teaching you the “ways of the ice”. You will hike for about 3 hours and a half, and spend some time having lunch somewhere on the ice. Back on the moraine we start our descent back to the port, to take the boat and navigate for 20 minutes, very close to the southern wall. Then go back to the "civilization" after having enjoyed one of the most spectacular ice treks over the world.